The C7 Corvette is a true automotive masterpiece with classic American muscle and space-age technology. Nothing looks like it, nothing sounds like it, and most importantly, nothing performs like it. 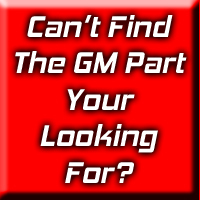 At Corvette Mods, we know that the only way to improve on perfection is with a little bit of customization using authentic GM accessories. 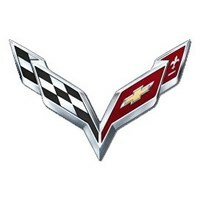 Now you can make driving your C7 Vette a truly unique experience with aesthetic and performance modifications that meet or exceed the OEM stock parts they're replacing. 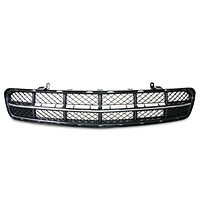 We have competitive prices on an assortment of C7 Corvette parts. Choose from exterior Corvette accessories like Stingray center caps and side fender chrome emblems. Protect your baby with indoor or outdoor C7 car covers to keep it looking brand new for years. For the interior of your new Vette, ramp up the style with cargo shades or a performance spec plate for the dash. Logo embossed floor mats and cargo mats keep everything clean and fashionable. If you want to do a big overhaul or your baby has been dinged up in an accident, Corvette Mods has body replacement parts. You can install a new Corvette C7 spoiler, replace your brake lights and headlights, or add a racing-style seat and steering wheel. Want to coax out a few more horsepower? 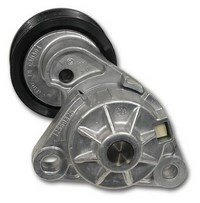 Our replacement engine and suspension parts are a perfect way to maximize your driving experience. We stock radiators, fuel filters, hoses, brake calipers, valve covers, and much more. With our incredible selection, you're sure to find everything you need to inject a little of your own personality into the sweetest ride on the road. If you don't see the Corvette C7 GM parts you're looking for, just send us the part description and your car's VIN number. We'll send you a custom quote within one business day!